11/17/16 - We had every room in our home, including the basement painted by Lyle, Dennis and Tim Snider. Wow! What a fabulous job! We love the results. D & D Painting arrived on time, worked diligently and cleaned up well. 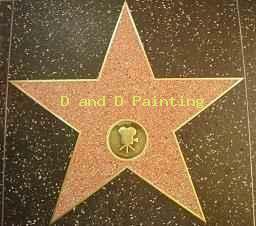 We highly recommend D & D Painting. "You did a wonderful job on the exterior, and took your time, and picked the rights colors"
"Thank-you for painting the interior of our schools in the summer heat, and helping the 2 west side schools"
"I pick you for my staining and exterior painting, we like you and you helped us pick the right colors, and you are a member of the BBB"
"Exterior painting was Extrordinary! I knew from the start I was picking you! We love your professionalism, and great work!" "I love D&D Painting for years! They have painted our offices, classrooms, and even donated their time and paper to the schools, I cannot say enough." "Faux painting on my kitchen and living room is superb quality, complete job!" July 2008 - "I needed your company to paint our awnings and outside walls for our grand opening and you did superior work"
"I was skeptical at first, the final results are pure satisfaction"
September 2008 -"My kitchen is a masterpiece!" November 2008 - "These guys paint a work of art, caring, and the cleanup was fantastic!" December 2008 - "Meticulous, clean, smart advice, unequaled excellance"
April 2009 - I moved and asked you to paint my newest house, 3 rooms, no problem! March 2009 - Great work on the garage, so I called them back out for the kitchen and bedroom"
April 2009 - Just wanted to thank you and your crew for doing such a good job removing the wallpaper and painting the bathroom. I especially appreciate how well you cleaned up after you completed the job. Cleaning up after the job is finished is very important to me. Thank you again for the fine job. I couldn't ask for better workers and my house smells new again! Go to our Contact Us Page! or call us for an in home estimate today! 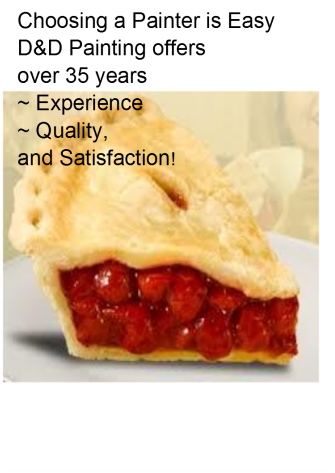 ~ Guaranteed Work ~ Experienced! From the request for an estimate to the final site cleanup, our residential and commercial painters are committed to quality service. Best Commercial Painting Contractors in the Cleveland and Northeast Ohio area. ~ Cleveland can give your business a glossy paint job that it needs and inject new life into it. ~ We realize how your home/company looks is really important to you and strive to make sure that we do the best job we possibly can. ~ A flesh coat of paint can really make a difference to you and your family members and guests, employees, etc. and stimulate a culture of productivity and motivation. ~ From homes and office spaces to medical offices, to churches and schools, we do the job the same: excellent and in an punctual manner.